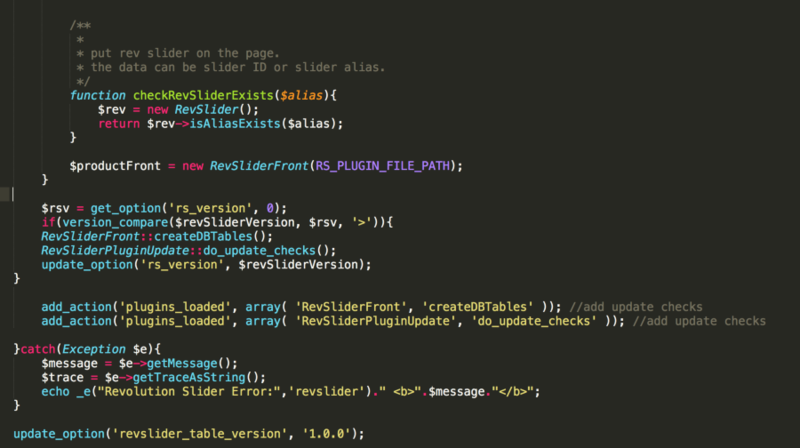 Today I was playing around with Revolution Slider and had trouble getting it to run in my Multisite test environment. right before php closing tag. Deactivate and reactivate Revolution Slider. Excellent! Can you also advise how to keep this code with updates. Through an addon? > Excellent! Can you also advise how to keep this code with updates. Through an addon? I am afraid not since I did not look for any hooks or an update friendly way when I was troubleshooting this. However it might be worth to point that out to the revolution slider crew. Maybe they can implement this(?). After use this solution create every new site import a slider demo. can you share solution for this problem. I am afraid it has been too long for me since I last used Revolution Slider. You will have to ask the good folks of Revolution Slider support.